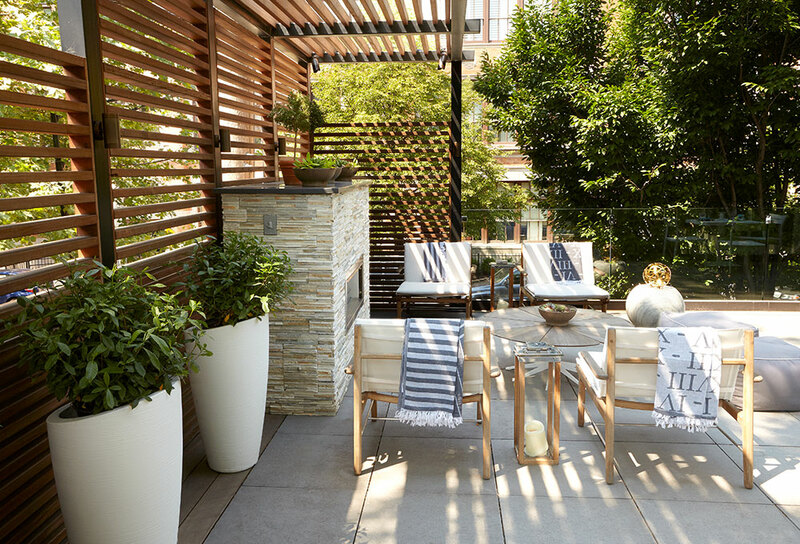 This unique outdoor space consists of a first level courtyard that, via a new steel staircase, leads up to a garage roof deck, all resting within a thick canopy of trees. 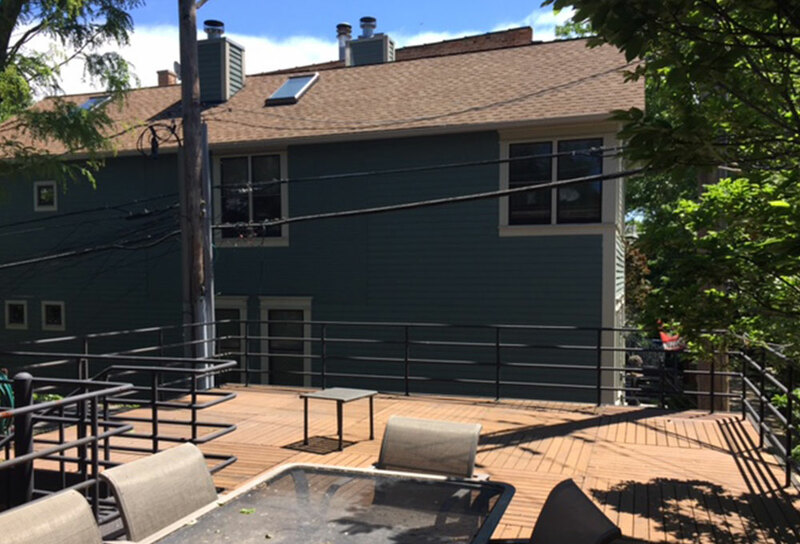 We swapped out all of the decking panels and replaced them with porcelain tiles for a more modern look. First we constructed a stone fire-place enclosed by a custom steel and ipe pergola. 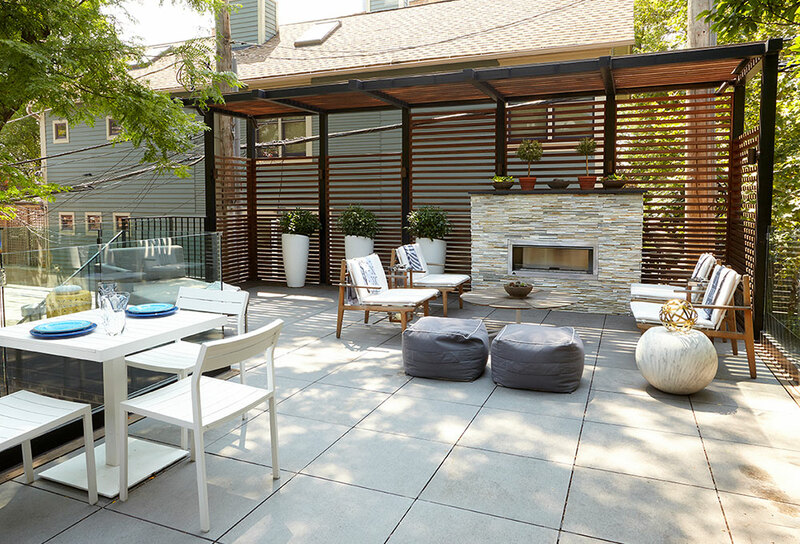 This area of the roof deck acts as a perfect spot for entertaining. Also, no great outdoor space is complete without an outdoor kitchen. Additionally, along the entire North end of the space, we built a custom outdoor kitchen. The outdoor kitchen is built out of all stone cladding and stainless steel appliances. But our very favorite part of this space? The Tempered glass railings that run the permitter of the garage roof deck. This solution allows the homeowner to take full advantage of the surrounding canopy without any visual obstructions.